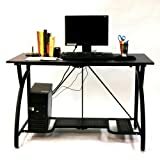 Finding the best gaming computer desk isn’t always the easiest thing to do. There’s many different options and each cater to different needs and desires for gamers. We’re going to cover several types of desks that you’ll really like and be able to choose from to help you make the right choice. These reviews are coming straight from a gamer for gamers. 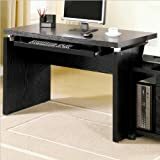 We know exactly what you’re looking for in a desk and the particulars that matter when making that selection. The gaming desk is a very important decision as well. So, don’t underestimate it… read here and make the right pick! A design that’s very popular right now is the L Shaped desks. They’ll give you the extra room you need to hold any additional electronics, printer, multiple monitors or your Mt. Dew and Doritos! 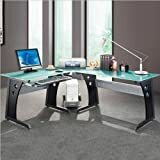 This is the style of desk that I personally own and I absolutely love it. Actually we own two of these desks, one being for my wife, and they’re great! 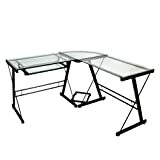 Click Here to see my desk on Amazon! 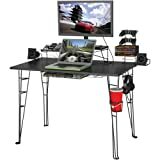 Before getting a gaming computer desk consider the amount of space in your room. Many desks now offer additional storage which will be useful for those with limited space. 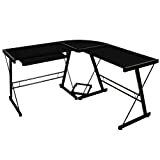 If you have other devices for your desk such as a printer, gaming console, multiple monitor, and just in general need more table top space then the L-Shaped style is the choice for you. 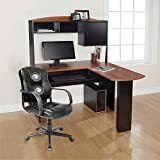 Lastly to go along with your new gaming desk make sure to get a comfortable gaming computer chair. There’s a lot of options for a chair just like the desks but, you really want to keep these things in mind when shopping for a chair. I honestly don’t recommend buying a gaming chair online and would recommend going and trying them out in person. This is much more important for the chair compared to the desk. The chair I have is the Boss Black LeatherPlus Executive Chair and I absolutely love the chair. It’s one of the best I’ve ever owned. If you have any recommendations on what kind of gaming equipment you recommend let me know in the comments below.